Dr. Rashid and Dr. Al-Attar take all measures to ensure a thorough examinations and detection of any potential dental problem at an early stage. They implement digital intra – oral photography and advanced digital radiography as tools in their process of examination. What dentists and dental hygienist can do to prevent dental problems? 1. Dentist can diagnose early problems like early or incipient tooth decay and gum diseases and guide you in controlling the disease process. 2. Regular professional cleaning helps remove plaque, calculus and tartar that build up on the tooth surface over time from food accumulation. 3. 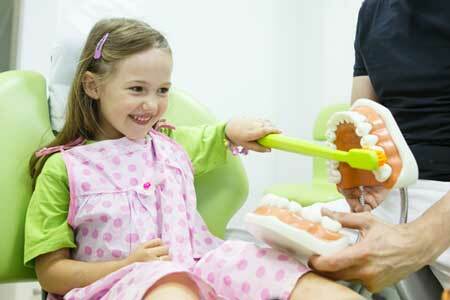 Dentist makes sure that existing dental treatment like restorations and crowns are in a good condition. 4. Oral health care provider will discuss with you the brushing and flossing technique to make sure you clean your teeth correctly and efficiently. 5. Dentist can discuss with you the recommended diet (according to Canada Food Guide) and the effect of sugar and acidic drinks on your teeth. 6. If you are pregnant or have a medical condition (for example: Diabetes), then consult with your dentist to set a plan to ensure an optimum oral health. 1. Brush daily and thoroughly all of your teeth surfaces, back and front for about 2 minutes to remove plaque. Discuss with your dentist or dental hygienist the proper technique and the right tooth brush for your oral health condition. 2. Floss every night to remove food debris between teeth. There are multiple ways to clean interproximal between the teeth like floss, flosser and interproximal tooth brush. 3. If you are wearing braces or have crown or bridge or an implant, then make sure you are cleaning them correctly. You may need to use floss threader to clean all invisible areas. 4. Make healthy food choices according to Canada’s food guide. Being active and playing sports should not put your teeth at risk. 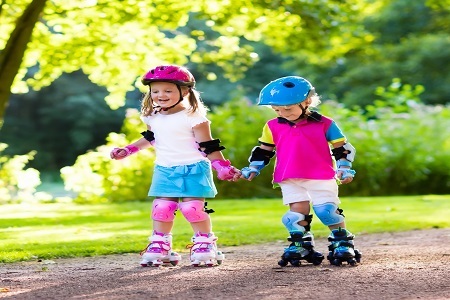 Occasional injuries to teeth can happen while biking, playing hockey, skating and other sports. Injuries to teeth can vary from simple chipped front tooth to avulsion (tooth come out of the bone). It is fundamental to wear a mouth guard or a sport guard during an activity. What does a mouth guard/sport guard do? Helps cushion a blow to the face and lower the risk of injuries to teeth, lips and tongue. 1. Custom made: made by the dentist, snugly and comfortably fit on your teeth. 2. Boil and bite: can be found at the drug store, first they are softened in a warm water and then inserted in the mouth, it should adapt to your teeth. 3. Stock: pre-formed and ready to wear, usually do not fit very well and may feel bulky. Some people clench or grind their teeth unconsciously during the day or at night. This habit is called bruxism (clenching). Mild bruxism may not require treatment, but moderate to severe bruxism may lead to jaw and temporal-mandibular joint problems, teeth damages, headache and others. One of the first steps to manage this issue is by wearing a night guard. What are the possible benefits of a night guard?